Michael Joe “Cha-na-go” Shobney, 74, Delia, died Monday, Jan. 21, 2019, at his home after a battle with cancer. He was born Sept. 29, 1944, in Holton, the son of Donald P. and Margaret Matsapto Shobney. He graduated from Topeka High School in 1965. Mr. Shobney joined the U.S. Army National Guard in 1965 and served for 30 years. He worked for the Prairie Band Potawatomi Road and Bridge Department as a mechanic and truck driver for 20 years, retiring in 2016. 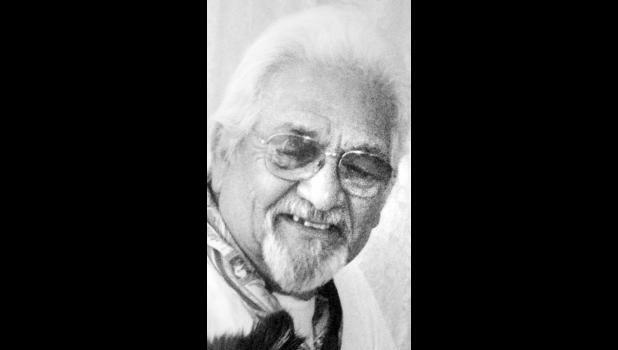 He was a member of Prairie Band Potawatomi Nation and We-Ta-Se American Legion Post 410. He married Shirley Jean Russell on April 30, 1965, in Topeka. She died April 16, 1995. He married Sharon Sue Dicks on Aug. 3, 1996, in Delia. She survives. Other survivors include a son, Michael Joe Shobney II, Delia; a daughter, Angela D. Hester and husband Ronny, Mayetta; a stepson, Jerry Leon Denzler Jr., Hoyt; a stepdaughter, Heather Suzanne Nicholas and husband Cris, Mayetta; a sister, Carol Heimiller and husband Kevin, Lecompton; 13 grandchildren, Jacob, Russell, Tyler, Tanner, Austin, Robert, Ronny Jr., Lexi, Jimmy, Jeanie, Teryn, Michael III and Annabella; and 14 great-grandchildren. In addition to his first wife, he was preceded in death by his parents, Donald and Margaret Shobney; a sister, Mary Rogers; a brother, John Shobney; a stepson, Derek Douglas Denzler; and a grandson, Joshua Hester. Graveside services will be held at 10 a.m. Friday at the Danceground Cemetery on the Potawatomi Reservation. Family will greet friends from 5 p.m. to 7 p.m. Thursday at Mercer Funeral Home in Holton.